EPIK is the public school program run by South Korea’s Ministry of Education, Science and Technology. There are over 700 jobs available with EPIK every 6 months. Earn a great salary plus amazing benefits such as paid accommodation, airfare, vacation, and health coverage! Get Full Support During Every Stage of Your Job Application! 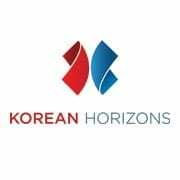 OnTESOL works with Korean Horizons, an official EPIK-approved recruitment agency based in South Korea. 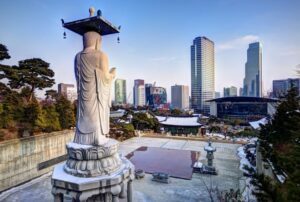 Hundreds of teachers choose Korean Horizons every year because there is always someone to provide assistance after the teacher arrives in South Korea. OnTESOL supports Korean Horizons by helping candidates from Canada and the United States fast-track their EPIK job application. When you complete your job application through OnTESOL, our recruitment coordinator will guide you on preparing for the interview and preparing all the documents you need to get the work visa quickly. Those who successfully apply for their EPIK job through OnTESOL also receive a $100 cash reward on their OnTESOL certification. Apply Now to Start in August 2019! 700+ Jobs Available in Many Locations! Apply and Get Full Job Support! Earn 1.8-2.7 million won* per month plus paid accommodation, airfare allowance for entry and exit, vacation pay, health coverage, and many more benefits! All contracts are for 1 full year. 22 classes per week: 1 elementary class would be 40 minutes & a middle or high school class would be 50 minutes each. Hours are 8:30am to 4:30pm. Monday to Friday. No weekends, No split shifts. Only recruitment agencies approved by EPIK can place you in South Korea. OnTESOL works with Korean Horizons to help candidates throughout the recruitment process. Step 1- Application: Submit job application with resume and lesson plan. OnTESOL will provide you with feedback to make corrections on your lesson plan. Step 2- Phone interview: Korean Horizons will schedule your phone interview with EPIK. Step 3- Documentation: Korean Horizons will send your documents to EPIK, includes the copies your university degree/s, letters of recommendation, copy of TESOL certification, and Criminal Background Check. Step 4- Work Visa: After EPIK receives your documents, they will send your job contract to the closest South Korean embassy, where you will have to sign the contract and pick up your work visa. Step 5- Go! You will be given the date to fly to South Korea to attend Orientation Week. Airport pick-up is included. TESOL / TEFL certificate: Minimum 120-hour TESOL / TEFL certificate.